Colson Business Systems, Inc. was founded by owner, Larry Colson, on July 2, 1984 and started with just Mr. Colson and one other employee. We were, and still remain, a small business who takes pride in serving our community. 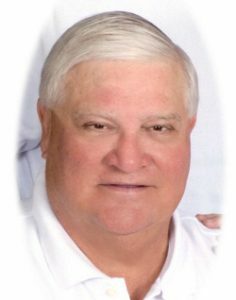 Larry Walton Colson, 64, passed away on Tuesday, September 18, 2012. Wife, Patricia Louise Colson; children, Rachel Blankenship of Atlanta, Allison Gracey of Arlington, Va., and Hunter Colson of Valdosta; Have a strong leadership role carrying on the business and legacy that Larry Colson started. CBS has expanded to over 30 employees with nothing but the customer in mind. CBS, Inc. has primarily been a Copystar® – Konica Minolta® / Kyocera Mita® copier dealer, in the fall of 1997 we began selling laser and inkjet cartridges. This part of our company has shown tremendous growth over the past years. We are capable of distributing toner nationwide / worldwide. We offer our customers solutions to all of their office needs at a very reasonable price. Also, we guarantee and stand behind all that we sell and service. We at Colson Business Systems pride ourselves on prompt delivery and foresee a bright future ahead. Let our factory trained service department provide you with a solution for your copier needs, from print, scan and fax, with our advanced office applications, which can manage all of your document needs. Imagine … your originals from your hands to everyone’s laptop, tablet, pc, and email in house or anywhere in the world. We at Colson Business Systems strive to provide our customers outstanding products an unmatched service and support, with our top of the line Copystar and Konica Minolta office equipment Colson Business Systems can show you how we can update, automate, and integrate your needs to our solutions.